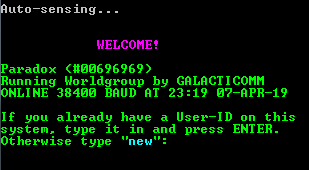 The Basement BBS was originally online from 1986 – 1998. The version that you can now telnet to was pieced together with backup floppy disks from 1990-1993. The BBS includes restored messages/message bases from 1990-1993, some restored file sections, 21 online games, and lots of customization. For best results, log in with an Atari 8-bit or a telnet client that supports ATASCII (Atari Mode). One such client is Syncterm. Syncterm is available for Windows, Linux, Mac OS/X, etc. You can download Syncterm here. 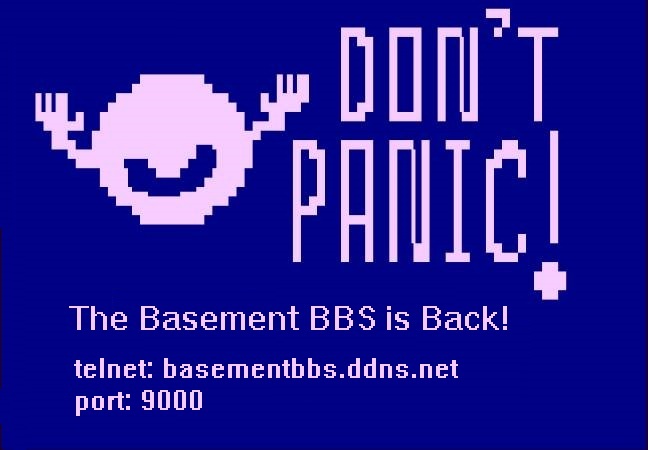 The Basement’s telnet address is: basementbbs.ddns.net port: 9000. Note: The web client below does not work with The Basement. You need to use the aforementioned web client. Update: Our web page is now available at http://basementbbs.ddns.net:7000/. Connect to Basement BBS Now! This BBS is using a non-standard telnet port (9000), the web telnet script may not work.